Please click the buttons below to learn more. AERA presentations and statements on accessible education research. AERA Open is AERA's new peer-reviewed, open-access journal. AERA's Educational Researcher publishes articles of significance to the field. 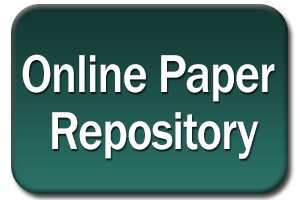 The repository contains full-text papers contributed by annual meeting presenters since 2010. Updates on federal policy news related to open-access research. "Toll-free" access to AERA journal articles on major education topics. AERA responds to Request for Information (RFI): “Public Access to Peer‐Reviewed Scholarly Publications Resulting from Federally Funded Research,” from the Office of Science and Technology Policy (OSTP). AERA responds to Request for Information (RFI): “Public Access to Digital Data Resulting from Federally Funded Scientific Research,” from the Office of Science and Technology Policy (OSTP).